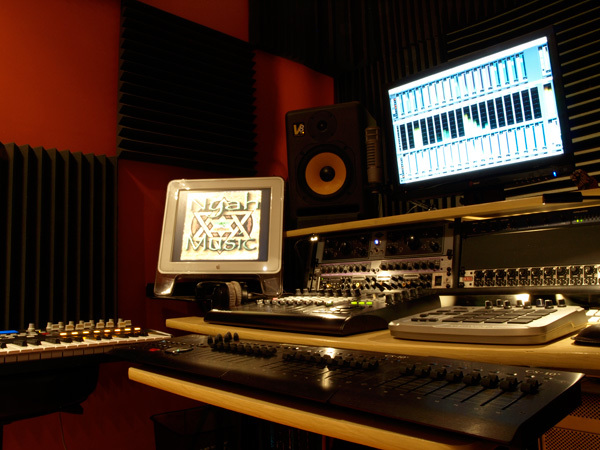 Studio and Mobile recording facilities, accommodating up to 24 tracks, 128 at mixdown. Thirteen years of Recording, Editing, Mixing and Mastering experience. 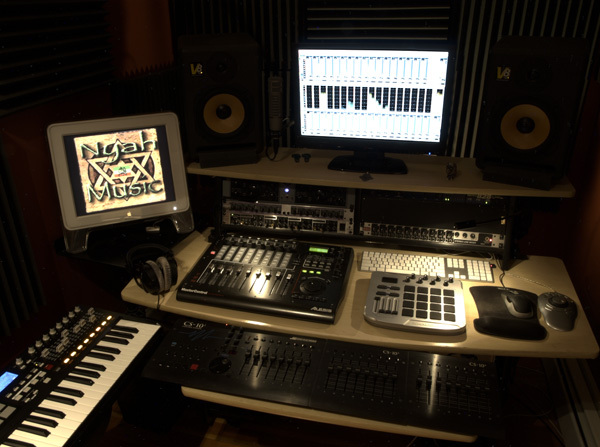 Neumann, SSL, Neve, Shure, B.L.U.E., Rode, Electro Voice, MOTU, Waves, Universal Audio, Presonus, Oktava, Beyer Dynamic, Logic, ProTools, Nuendo, Digital Performer, Native Instruments, Moog, Roland, Alesis, Akai, KRK, Aphex, Monster, Mogami, J.L. Cooper. Offering expert training in ProTools, Digital Performer, Nuendo, Cubase and Logic. Over a decade of experience educating recording professionals, and advising engineers and studio owners. Make the most of the equipment you own. Optimize your hardware, software, layout, wiring, and workflow. Identify and prioritize the improvements that will make the biggest difference to your sound, and your profitability. Learn how to get around your software like a pro. Impress clients by making them sound like a million bucks in no time flat. I instruct intermediate and advanced students, and occasionally beginners who exhibit particular drive, discipline and promise. I have developed a curriculum of progressive diatonic theory training, balanced with technique, taught parallel to an individualized selection of bass lines, improvisational motifs, jazz standards, style and time signature study, ear training, and virtuosic performance bass compositions. The constant goal in my instruction is to develop the student into a complete bass player and musician. The student's grasp of Theory, Rhythm, Melody, Harmony, Technique and Stylistic Sensibility/Conventions are constantly assessed, and the curriculum adjusted to maintain a consistent balance in the development in all these areas, such that the material is presented in a cumulative manner. This presents a formidable and consistent challenge to a student, requiring the development of sincere discipline. At the same time, for a student who is constantly presented with the opportunity to achieve greatness, a door to rapid musical growth and maturity is opened. About two thirds of my students go on to study or major in Music at college, and most go on to teach music themselves. My greatest wish for my students is for them to realize their own potential for greatness. The greatest joy I experience as an educator is to see a student realize this potential, and then go on to peruse that greatness, from a solid foundation, and with tools in hand, as one of life's most sincere ambitions. To the left, you will find examples of some of the techniques and concepts that I cover. Sometimes students will take lessons with a specific goal in mind. Some people want to play fast, some want to learn slapping, tapping, or harmonics. Some people have favorite bass lines or bass players the would like to emulate. I try to help each student become a complete and balanced player. Each bass line covered is always presented as means to a greater understanding. Being able to play your favorite bass line is one thing, being able to internalize the concepts and write your own is a whole other world. Frequently, in the course of a lesson, I write a bass line or example for a student on the spot. The idea is to combine the topic, tempo, meter, and feel of the current subject matter into an assignment that both encapsulates the idea being discussed, and offers the student a challenge for the week(s) to come. Students and Registered Users can download hand-outs, assignments, exercises and MP3 examples I use with students. Example files and exercises will appear on this page once logged in. My intention is to eventually make not just the MP3s available, but also descriptions of each concept that the example is intended to teach, so they can be shared with the greater community. To login or create an account, click here. If you have any questions, or for more information, please contact Rob Griffith.